When we change phone model from Android to iPhone, we need transfer photos and pictures from iPhone to Android. You can use Bluetooth to move data from iPhone to Android one by one for free. And you can use Mobile Transfer to get pictures from iPhone to Android in batch. Photos in device is one method to keep the specific moment in our life. Or they are the line between family, when you are not beside them, those pictures are the only way to solve your miss. So when we change model from Android to iPhone, photos are the same important as contacts. We must want transfer photos from Android to iPhone. Same as the transmission of the contacts between phones, you can transfer photos from Android to iPhone in steps, but you have one free method to transfer photos from Android to iPhone, via Bluetooth, you can transfer pics from Android to iPhone, but you know it's so slow and you can only move pictures from Android to iPhone one by one. But it's free! 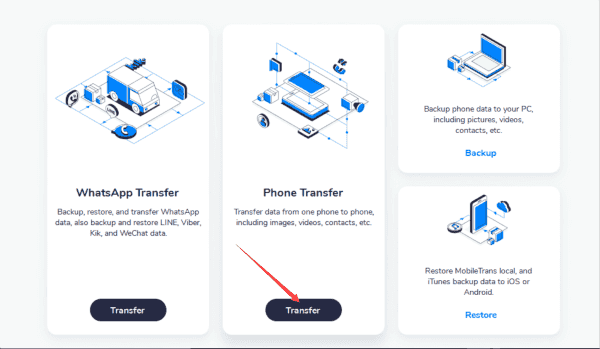 Be patient, if you no have so many time to transfer pictures from Android to iPhone one by one, you can use the second method to move pictures from iPhone to Android. 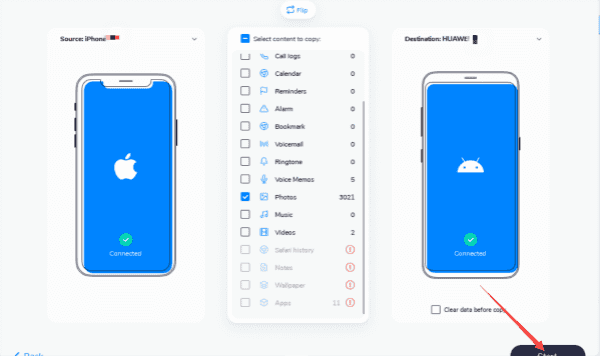 We are gonna to see the free method and the most simple method to transfer photos from iPhone to Android. When you have enough time, take your Android and iPhone in hand, transfer photos from iPhone to Android one by one. Step 2: Search the Bluetooth name of your iPhone in your Android phone, then click iPhone Bluetooth name in your Android. Step 3: Accept the connection request from iPhone in your Android. Step 4: Select one photo in iPhone, click the Bluetooth logo to share photo via Bluetooth. But you need confirm the transmission from Android. Note: Put two phones one close to another one, if it's so far between two phones, you can't get pictures from iPhone to Android. It's the quickest way to transfer photos from iPhone to Android. Save your time. 100% original quality. 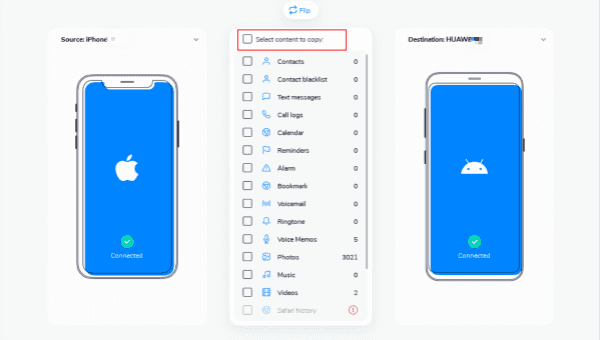 How to send pictures from iPhone to Android? Now start! Step 1: Of course, we need Eelphone Mobile Transfer downloaded, launch it immediately. From the home page, what you need is " Phone to Phone Data Transfer ", click on it. Step 2: Now you need plug your Android and iPhone phone into computer via original USB cables. Take iPhone as the source phone in the left, another side, is your Android as the destination. 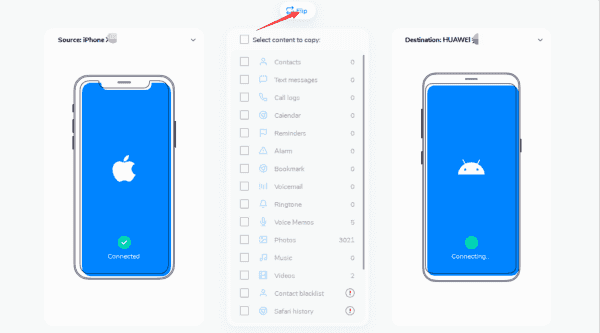 Click on " Flip " when you want transfer photos from iPhone to Android. Note : You need allow USB debugging in your Android phone. Or you can't send photos from iPhone to Android. Step 3: From the data type place, you click the box from the " Photos ", if you want transfer other data type, you shooed it. Step 4: Click " Start Transfer "to detect the photos in your iPhone, wait a moment the software will get the photos from iPhone to Android. So quick to move pictures from Android to iPhone.